I joined Club 100 on 3 June 2017 - three weeks after my 40th birthday. So I guess that's a yes and a no on this goal, right? I missed the deadline on account of kindy flu germs, though, so I don't feel too bad about the three-week delay. On a side note, it's now been more than seven months since I've earned my black (Club 100) shirt, and I still haven't received it - waaaaah! First my size kept on being out of stock, and then parkrun UK changed shirt suppliers... Oh well. I'm actually not in too much of a hurry to get it, anyway - the later it happens, the shorter the gap will be between getting my black and green (Club 250) shirts, so at least there's that! Check! 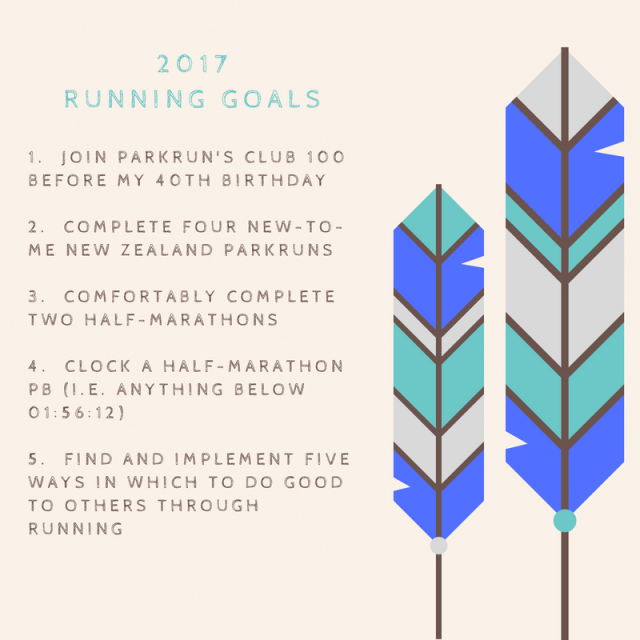 I kicked 2017 off with two new-to-me parkruns in the form of a New Year's double: Lower Hutt parkrun and Porirua parkrun. 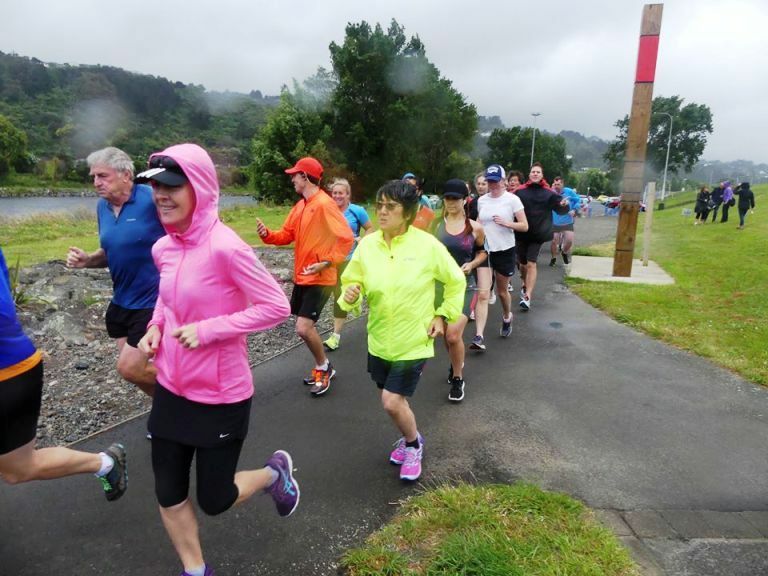 I've since been back to both of them, and will definitely make an effort to visit Porirua parkrun a lot more often in future. 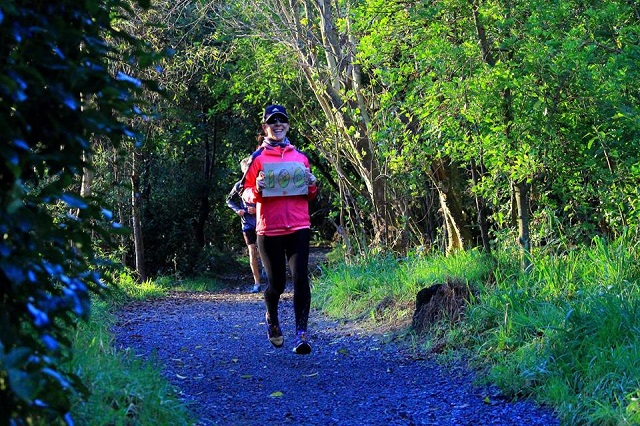 Number 1: Lower Hutt parkrun. 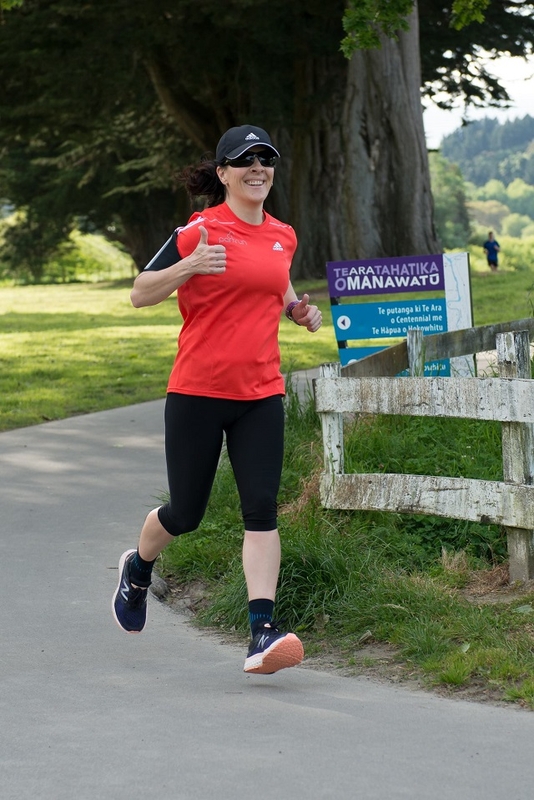 Next up was Puarenga parkrun in Rotorua - an extraordinary parkrun experience if ever there was one! 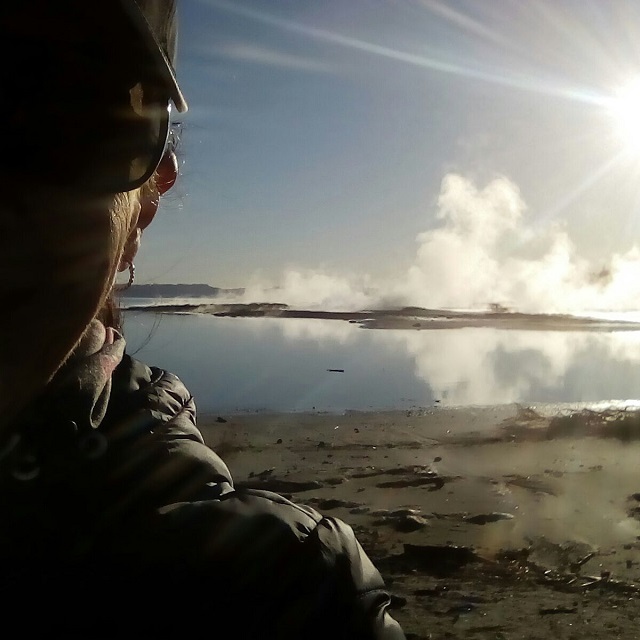 The route goes straight through (as in causes you to hop, skip and jump over) a geothermal area - I couldn't stop gawking! Many people complain about the accompanying sulphur smell, but I guess I was too caught up in parkrun tourism fuzzies to even notice. I didn't smell a thing. 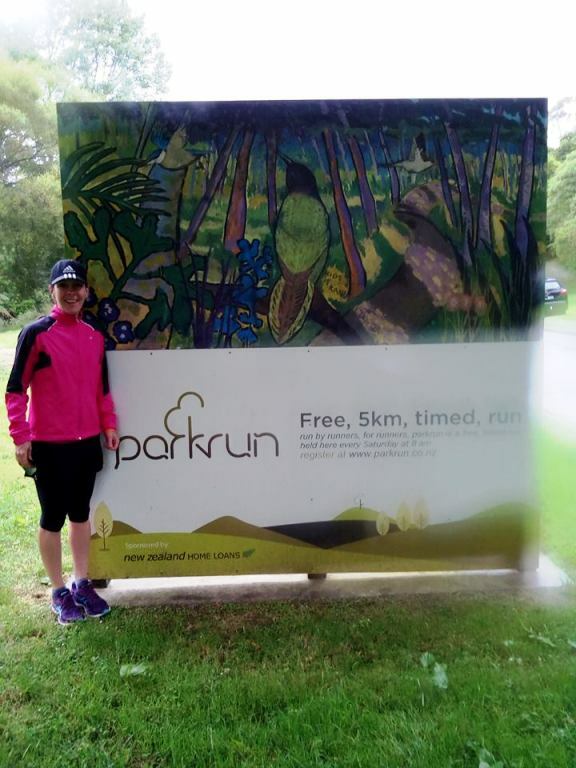 And then last up was Palmerston North parkrun - my first inaugural parkrun attendance in New Zealand! The route snakes along the Manawatu River, with some breathtaking views along the way. 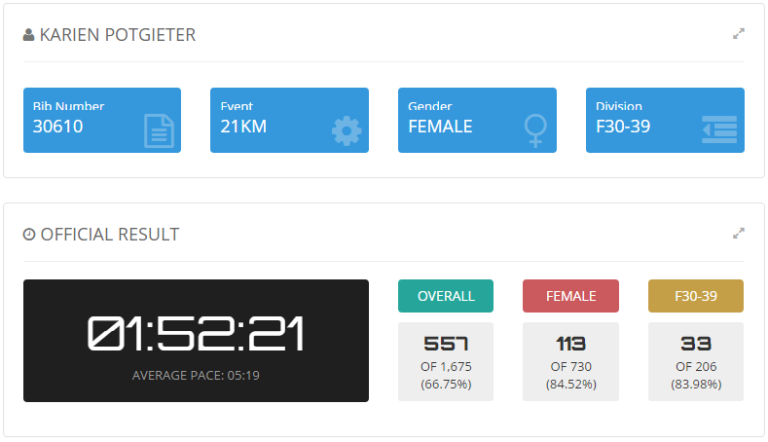 Plus it's fast, tarred and flat - I clocked a sub-25 after seriously starting to doubt whether I'd ever see a 24:something on my running watch ever again. I'll definitely visit again in future! 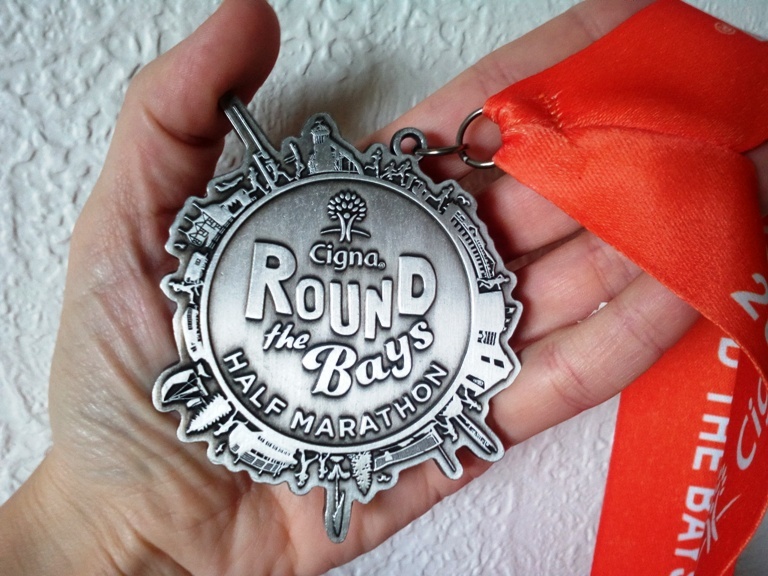 I completed the Cigna Round the Bays Half Marathon on 19 February 2017 and it was perfect in every way. My race preparation went well, the weather was perfect (unusual for windy Welly) and I clocked a new PB - I really couldn't have asked for more. Half-marathon No. 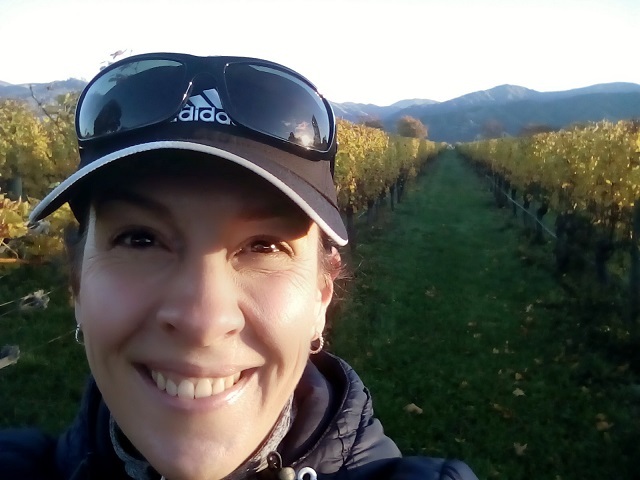 2, the Saint Clair Vineyard Half, happened on 13 May 2017 on New Zealand's picturesque South Island. I didn't shoot for a PB this time (and wouldn't have made it, even if I tried - the ferry trip to the south was a nightmare! ), and had a wonderful time just soaking up the scenery. And, of course, the dark chocolate offered at one of the aid stations - yes, please! A very memorable runcation, for sure. As mentioned above, I clocked a PB of almost four minutes at the Cigna Round the Bays Half! It was a tough, tough run, and I'm not sure that I have the courage to ever push myself that hard again (I must be getting old...!). But it was so worth it. Logging miles through charity apps like Charity Miles. Donating pre-loved running shoes to deserving charities. Participating in virtual races organised by deserving charities. Spreading the word. 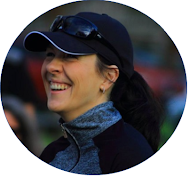 Sharing news on charitable events and happenings on social media. Volunteering. Do your bit at events like parkrun to give others the chance to change their lives through running! And with that my 2017 running chapter officially comes to an end. Now to grab 2018 by the horns! I have some goals lined up for the year and am already hard at work on some of them - I'll share them soon! I hope 2017 was a good one for you too!